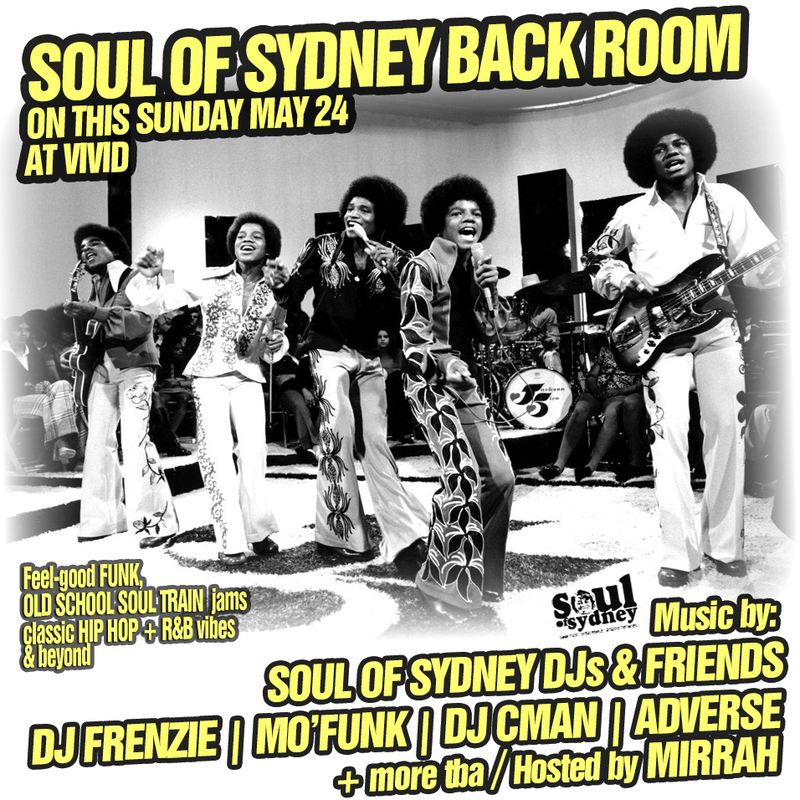 SOUL FUNK BACK ROOM ADDED to this Sundays Vivid special feat. DJ FRENZIE, MO’FUNK ADVERSE, DJ CMAN, MIRRAH & more. | SOUL OF SYDNEY FEEL-GOOD FUNK SOUL DISCO vibes & beyond. SOUL FUNK BACK ROOM ADDED to this Sundays Vivid special feat. DJ FRENZIE, MO’FUNK ADVERSE, DJ CMAN, MIRRAH & more. Good news for old school Soul Funk heads, Soul Of Sydney’s Vivid Special this weekend just got just got 12.5% more funkier! We are proud to announce just added a BACK ROOM with a host of our favourite local legends throwing down a solid dose of FEEL-GOOD FUNK & OLD SCHOOL PARTY JAMS. An afternoon of feel-good FUNK, DISCO, GARAGE plus a sold dose of AFRO-LATIN VIBES & beyond. ← SOUL OF SYDNEY featured in Concrete Playgrounds 10 best gigs of Vivid 2015.